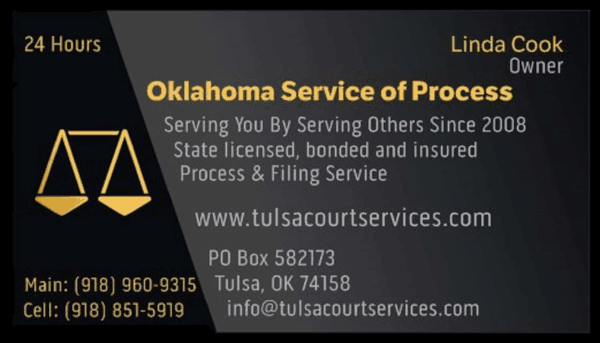 " Before Linda, we spent almost 8 months exhausting our efforts in trying to locate the other party in our custody case. 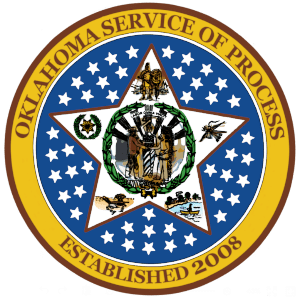 I discovered Oklahoma Service of Process online and got connected with Linda. She has been so helpful, dedicated, and determined in completing all of our service needs, and let me tell you, there have been a lot of them! Linda not only successfully located the other party very quickly, but has served him on numerous occasions. She is diligent in her efforts, informative, timely and kind. We owe so much to Linda and all the help she has given us in such a helpless situation. Thank you Linda! You are awesome!! If you need the job done and done well, give it to Linda! " " Linda is very efficient, compassionate, and dependable. She was easily available at a moments notice for us, and even on a weekend. She was polite and professional to the person we needed served and was successful on her first attempt. I feel like she represented us very well. If needed we won’t hesitate to use her service in the future and will strongly recommend her any chance we get. " " Great service and very helpful. " " Linda was very quick and efficient. She stayed in contact the whole time. She even served on a Sunday when most wait till the weekday. "